This is the first post in @lovingthebike’s #HashtagTuesday series. Every Tuesday we’ll be talking about the latest popular cycling tags on Twitter. I am collaborating with Joe Anthony of @bikecommutenews for this feature and Joe is kicking things off with the story of #twowheeltuesday and what it has to do with Austin Nichols from the TV show One Tree Hill. Between the two of us, we’ll be sharing some super cool Twitter # stories each week so be sure to tune in to Loving the Bike every Tuesday. Don’t know what Twitter #’s are? Learn more about them right here or over here. If you’ve been following @bikecommutenews or @lovingthebike on Twitter, you know we love bikey hashtags. Each tag, creative, crowd-sourced, community generated and supported, becomes its own unique Twitter community. We’ll be talking about some of the more popular cycling tags and their origins Tuesdays on lovingthebike.com for at least the next few weeks…probably much longer. Speaking of Tuesday, our first and very popular, hashtag is #twowheeltuesday. #twowheeltuesday is a call for Tweeting cyclists to trade four wheels for two, at least for one day out of the week. Tuesdays. 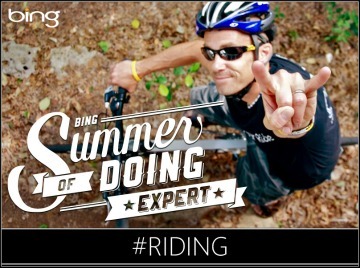 Cyclists use the hashtag to share where they’re riding, why, or just to encourage others to ride instead of drive. Like most Internet memes, and especially on Twitter, the origins are often unclear and there’s always an interesting story behind them. This one is certainly no exception. In doing some digging into #twowheeltuesday’s origins, I was surprised to learn that it led to a certain Tweeting celebrity cyclist. Here in Los Angeles, aka #bikeLA, the tag has become very popular and the Los Angeles County Bicycle Coalition (@LACBC) has been actively using the tag for some time now to encourage cyclists both local and beyond to Tweet their rides and share their cycling stories of the day. I got in touch with Carol Feucht, Membership Manager and a Tweeter for Los Angeles County Bicycle Coalition, to ask her about #twowheeltuesday and how it started. It’s funny that you ask because we thought we had created that hashtag. Our former social media intern, Justin, had come up with it and started using it a few months ago. But we have since learned that it existed before we started using it. My detective skills have led me to an actor named Austin Nichols (Twitter handle @aus10nichols), who is on that CW show ‘One Tree Hill.’ I once thanked him via Twitter for supporting #twowheeltuesday, and he sent me a direct message that said “Haha. I invented #twowheeltuesday.” Because I didn’t realize where Twitter direct messages were until a few weeks ago, I actually never responded to his reply. I’m not entirely sure if he’s joking, but he did use the hashtag before us. So I guess you might say that he started it, and he and LACBC have sort of moved it along (although he does have 63,000 more followers than we do so he’s probably moving it more, particularly with the teenage demographic). If you can somehow contact him and verify this info with him, please do. As it turns out, it’s no joke. 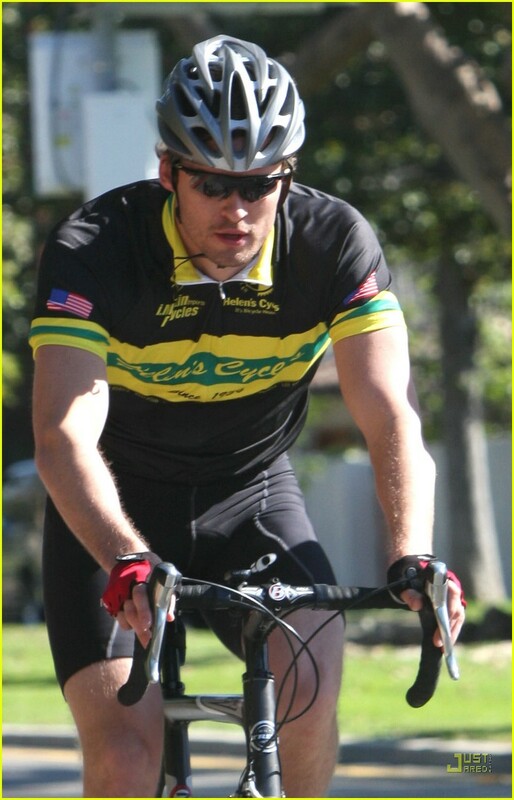 Austin Nichols (One Tree Hill, The Day After Tomorrow) happens to be a cyclist, active on Twitter with over 65,000 followers, and loves promoting bikes. I pinged Austin on Twitter in hopes of getting in touch and asking about #twowheeltuesday and fortunately we were able to connect via email. I’m always amazed, but never surprised, at how cyclists are always willing to help one another out. Austin’s no exception and he got right in touch. Joe: Did you start #twowheeltuesday? Austin:This is so cool. I didn’t even know that #twowheeltuesday was being mentioned by people other than my twitter followers. I came up with #twowheeltuesday this past summer. Summer 2010. It was after my trip to the Gulf where I started my campaign to raise money for the oil spill and inspire people to live more sustainably. It just sprung into my head. 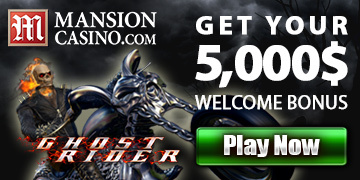 I knew that I loved bikes and riding and I was looking for a way to get people involved, but in a small manageable way. Sometimes people are overwhelmed and throw their hands up in the air and say, “I can’t do all that. I have a job and 3 kids.” So I wanted to just say, “Hey, on Tuesday, ride a bike to the gym or school or work. Or maybe just to the store. You don’t have to sell your car. Let’s just make a small step.” That was the idea. And the term #twowheeltuesday just popped into my head. I immediately tweeted it and people started to respond. It has been embraced by a lot of students as new ideas always are. The youth has been very supportive. I think young people have been incredibly disillusioned by that oil spill. It woke a lot of people up. Joe: Do you participate every week? Austin: I do participate every week, sometimes more. But there have been certain days where I miss it, sadly. We just had a huge snowstorm here in North Carolina and I got a call from my producer. “You’re NOT riding your bike to work today! It’s too cold and too dangerous. We need you alive. You have to shoot for two more months.” So I have missed occasionally due to the demands of my bosses. But I try to make up for it on other days. Joe: Cycling is growing fast here in L.A. (“#bikeLA”) and around the world, but L.A. is probably still a bit behind the times given its infamous car culture. Are you active in bicycle advocacy locally, either on or offline in any other ways? Austin: I am definitely advocating for far-reaching bike programs in cities everywhere. Cities all over the world have instituted the BIXI bike system and it is brilliant and very successful. I am pushing for the United States to get on this train. It is a smart, clean, fun train. We will be healthier and happier if we can get Americans riding more. Joe: Do you ride for transportation much, and if so, tell us a bit about why you ride? Austin: Here’s a great story. I was working on a movie in Uruguay a few years ago. And every morning and evening, commuting to and from the set, I would see a massive group of people on bicycles. It was huge. I couldn’t understand what it was for. It was not a race. They were not wearing colorful spandex tights. They were wearing jeans and shorts and tshirts. I asked someone what that was. And I learned that it was a giant group of construction workers. There was so much construction going on in this beach town (Punta Del Este) that there were hundreds of workers commuting every morning and evening. It was quite a sight. And every time I passed them in my gas-guzzling van, I saw hundreds of workers smiling, laughing and waving. They were in mid-conversation with other riders. It was a community of riders and it inspired me to try to form such a thing in the United States. Wouldn’t it be fun to ride home every evening with a giant group of friends? I dream that someday our bike lanes will be just as big or bigger than car lanes. The air will be clean again. We will be healthier. The advantages go on and on. So #twowheeltuesday is only the beginning. Thanks for getting in touch, Joe. Let me know what else I can do to spread the word. I am so excited that people have heard of #twowheeltuesday. So, what are your favorite Twitter Cycling #’s? Which ones do you think need to be created? We’ll be featuring another one next week along with their origin and story in what we’re officially calling #HashtagTuesday over here at Loving the Bike. Joe Anthony has been involved in online community building, web strategy and consulting for the better part of the last decade. 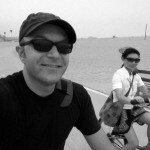 A cyclist living car-free in Los Angeles, he advocates bikes and tech online @bikecommutenews. Very cool! Do you use the #twowheeltuesday tag just if you’re doing something with your bike you would normally do with your car? Would it be appropriate to use it for a normal training ride on Tuesday? I use #cycling all the time. It would be totally cool to use #twowheeltuesday for anything cycling related on Tuesdays. The tag was created to encourage people to choose bikes over cars each Tuesday, but it has taken on a life of it’s own and is used to celebrate the bike. Ride Your Bike.